After a sluggish few years in the Android world, 2019 is set to be a smash-hit for smartphone fans. Folding phones are on the horizon, display hole (punch hole) cameras are coming to make displays even bigger, and goodness knows how many cameras we’re going to see. If you want to know more about the kinds of phones you can look forward to, check out our list of the top upcoming handsets arriving in the first half of the year below. Samsung’s folding phone is probably the most exciting phone we’re going to see in early 2019 — if not the whole year. We know it’s well into development, we’ve already seen how it works, but we’re yet to learn what the final product will look like and how exactly it will operate. But it’s an exciting prospect. It’s set to include an outward-facing display as well as an inner display that can fold out into something like a small tablet. It will be unlike anything we’ve ever encountered on Android, though all that cool will come at a cost. It’s going to be expensive, so for those who want something slightly cheaper, Samsung has another potentially super handset in the works: the Galaxy S10. Samsung’s new S-series flagship is tipped to arrive with an Infinity-O display, as many as three rear cameras, and possibly a vibrating display for audio. There’s likely be a few variations of it too, including a Plus model and a 5G model. Both the S10 and Samsung’s foldable phone are going to be big talking points in 2019 and the best news is we may only have a couple of months to wait before they arrive: current speculation suggests they may arrive at MWC 2019 in February. A render of Samsung’s folding phone prototype. Samsung isn’t the only manufacturer developing folding phones and phones with punch hole displays. Huawei just launched the display-hole wielding Nova 4 in mid-December, and it’s also tipped to have a folding phone out in 2019. We don’t know exactly when — in fact, we know even less about Huawei’s folding phone than we do about Samsung’s. However, current speculation suggests it will land at MWC 2019 around the same time as Samsung’s folding phone. What a matchup that will be! Meanwhile, Huawei will likely release new flagship sequels to the P20 and P20 Pro, potentially called the P30 and P30 Pro. Given Huawei was among the first manufacturers to take on dual and later triple camera setups, there’s potential for the P30 Pro to adopt four rear cameras in 2019. Further, the handsets will probably use the Mate 20’s Kirin 980 chipset, just as the Huawei P20 series used the earlier Mate 10’s chipset, the Kirin 970. The Honor View 20 (seen at the top of the page and below) will launch globally in January 21. We’ve already gotten a good look at this phone and it’s going to be one of the first to feature a punch hole display, which we expect to trend in 2019. That’s not its only interesting feature though: it’s packing a supposedly super fast charging 4,000 mAh battery and a unique design. Honor may also launch a new phone in its budget A-series early next year, the Honor 8A. This passed through the FCC recently looking something like an iPhone 6 with a notch. It could be another budget wonder from the Huawei sub-brand. The standard Honor View 20 launches in Chinese markets for 2,999 yuan (~$435) and you can read some of our early thoughts on it in our hands-on coverage here. From the outside, it looks like OnePlus had a very successful 2018. The Chinese firm had its best smartphone launch yet with the OnePlus 6T and secured a potentially lucrative sales partnership with T-Mobile to sell it. Since we’re betting on more display hole cameras on 2019 flagships, we wouldn’t be surprised if OnePlus had one too. The OnePlus 7 is surely in the works, and should arrive before the end of June 2019 (the OnePlus 3, 5, and 6 launched in May, June, and April respectively). Based on OnePlus’ history, there are a couple of guesses we can make about the direction the OnePlus 7 might take. OnePlus has recently followed industry trends on display notches, headphone ports, and in-screen fingerprint sensors. Since we’re betting on more display hole cameras on 2019 flagships, we wouldn’t be surprised if OnePlus had one too. Additionally, the flagship will probably have 10GB RAM or more (the OnePlus 6T McClaren has 10GB), the latest Qualcomm platform (Snapdragon 855), and cost more than the $550 OnePlus 6T. Don’t expect a OnePlus folding phone next year, though — it’s still early days for a small company like OnePlus to enter this race. Google’s Pixel phones are the darlings of Android but they’re not exactly easy on the wallet. The latest model, the Pixel 3, begins at $799, while the larger Pixel 3 XL costs $899. The good news for budget-minded folks is there’s a strong chance Google has a solution for you coming in the first half of 2019. A couple of sources, including the typically reliable @OnLeaks, have hinted that Google is working on ‘Lite’ versions of the Google Pixel 3 and the Google Pixel 3 XL. We don’t have much to go on, but supposed render images of these suggest they’re well into development — we wouldn’t see rumors that we have for a Google Pixel phone launching next October (the usual Pixel timeframe). The standard Pixel 3 Lite is rumored to carry a Snapdragon 670 chipset, 4GB of RAM, 32GB of storage, a 12MP main camera, and an 8MP selfie camera. The Pixel 3 Lite XL will likely offer similar specs with a larger display and battery. Possibly most exciting of all, both of these Pixel 3s may come with a headphone port. Jackpot. The supposed Google Pixel 3 XL Lite (left) and Google Pixel 3 Lite. Sony hasn’t announced its upcoming XZ and XA phones yet, but they’re expected early in the new year and we’ve seen a couple of recent leaks regarding them. As interesting as the XZ and XA series look, they’re probably going to struggle without a more aggressive price strategy from Sony. We have potential Xperia XZ4 and Xperia XZ4 Compact renders from the reliable @OnLeaks. These flagships would possibly arrive at MWC in February, seeing as the Xperia XZ2 appeared there in 2018, ahead of the XZ3 later that year. The XZ4 series phones are among the many Android’s tipped to feature triple rear cameras and Snapdragon 855 chips in 2019; the leaked renders suggest they’re going to be pretty slick. Sony may also launch new phones in its midrange XA series this January: we’ve seen leaks concerning both the standard XA3 and the XA3 Ultra. Sony’s smartphones are often well-regarded yet fail to capture the hearts of consumers due to several factors (steep pricing among them). As interesting as the XZ and XA series look, they’re probably going to struggle commercially without a more aggressive price strategy from Sony. A render allegedly depicting the Sony Xperia XZ4. The Xiaomi Mi 8 was one of the most impressive phones we saw in 2018. It wasn’t necessarily the most inventive smartphone, but it was hard to argue with the specs and usability quality it offered at its price. Now, all eyes on Xiaomi to deliver again with the Mi 9. This would no doubt be another comparatively low-cost Xiaomi phone. And probably its best yet. The Mi 9 is said to arrive with a 6.4-inch display, Snapdragon 855 chipset, a triple rear camera, and as much as 10GB of RAM. Despite the premium spec sheet, this would no doubt be another comparatively low-cost Xiaomi phone. And probably its best yet. Meanwhile, rumors are already circulating about Xiaomi’s next major Mi Mix device. The Mi Mix 4 would also apparently feature a Snapdragon 855 and triple camera setup; however, it’s possible the speculation regarding this phone actually relates to the Mi Mix 3S. The Mi Mix 2S arrived last April as an upgraded version of the Mix 2, featuring an upgraded chipset and an extra camera on the back. As the Mix 3 arrived with a Snapdragon 845 and dual rear cameras, one might expect the Mix 3S to feature the aforementioned upgrades. As for whether the next major Mi Mix phone will fold — as has been hinted at — we doubt it, though the series is known for its progressive display efforts. ETA: June (Mi 9). Spring (Mi Mix 3S). A supposed render of the Xiaomi Mi 9. HMD Global has done brilliant things with the Nokia brand since it acquired it a couple of years ago now and the Nokia 9 PureView might be its most anticipated device yet. We’ve encountered numerous leaks about the phone (though HMD hasn’t announced it), the latest of which included a leaked video offering some potential specs. The Nokia 9 is set to come with a 6-inch, 2K, HDR 10 display, Snapdragon 845 chipset, 6GB of RAM, 128GB of internal storage space, and an in-display fingerprint sensor. It’s a compelling specs sheet, but it’s the rear of the handset that’s causing the biggest stir, as it’s set to come with five cameras. While these may not necessarily lead to best-ever smartphone photo quality, they should offer some neat tricks, as well as superior low-light performance. A leaked render of the Nokia 9 PureView. LG is another OEM which tends to release an H1 flagship and it’s possible we’ll see the LG G8 ThinQ before July next year (if indeed it will be called that). Twitter leaker Ice Universe (@UniverseIce) tips it for a 4K LCD display and, as a major TV manufacturer, LG is likely to put an impressive screen on its flagship phone. Whether or not that truly means 4K resolution we’ll have to wait and see. We haven’t heard much else about this phone yet; however, LG has confirmed it’s working on another major handset you may be interested in. LG says it has a folding phone already in development but also that it won’t be first to market with such a product. If Samsung or Huawei produce a foldy by February, that would put the phone’s release more than a couple of months away. With that in mind, ever-reliable leaker Evan Blass suggests it might be unveiled in January. The LG V30 (left) and LG V40 (right). Lenovo has already announced the Z5 Pro GT and it looks like an incredible handset from the off. The sliding phone packs up to 12GB of RAM, a Snapdragon 855 chip, an in-display fingerprint sensor, and four cameras. Best of all, it has a near bezel-less, notch-free, 6.4-inch display. The Z5 Pro is also relatively well-priced in China, the 12GB of RAM + 512GB ROM model costs 4,398 Chinese yuan (~$635). This one may not see a wider release though. Other notable upcoming phones under Lenovo’s watch include the rumored Moto Z4 (codenamed Odin), which may launch with a 5G Moto mod and Snapdragon 855, and the Moto G7 range of low-cost handsets. The standard G7 variant is said to come with a 6-inch, Full HD+ display, 64GB of internal storage, and dual 16MP + 5MP rear cameras. The Lenovo Z5 Pro GT. An upgraded HTC U12 Plus? HTC’s Taiwan president recently spoke about the direction of its next phones, and it looks like we may not get a true HTC U12 Plus successor in the first half of next year. Apparently, HTC’s current plan is to “extend” the U12 Plus range. Though HTC didn’t give us any further details on that when we reached out to it, it could mean a slightly upgraded U12 Plus is set for H1 next year. This isn’t a comprehensive list of upcoming Android phones, just a taste of what’s to come in 2019. Let us know if we’ve missed any big ones and tell us the handset you’re most excited for in the comments. Google has started rolling out Assistant’s Call Screen feature to the original Google Pixel and Pixel XL. Call Screen allows Assistant to answer calls on the user’s behalf. It’s only available in the U.S. at the moment. Google has started rolling out the Pixel 3’s Call Screen feature to the original Pixel and Pixel XL, according to reports on Reddit. A number of Pixel owners have chimed in to a thread started over the weekend to confirm the deployment. Call Screen allows Google Assistant to answer calls on the user’s behalf. It announces itself and asks what the purpose of the call is, while users can listen in to the conversation to take over if they want to. It’s something that can deter nuisance callers. Google rolled out Call Screen to the Pixel 2 and 2XL only last month and it had been expected to make its way to the original Pixels shortly after. Some device owners have also reported receiving saved call transcripts too, a feature which isn’t even on all Pixel 3 smartphones yet (though Google says it will be by the year’s end). However, some Pixel owners still report having neither feature, so it looks like a staged rollout. Call Screen is still U.S.-only for the time being but Google plans to roll it out in more regions in the future. 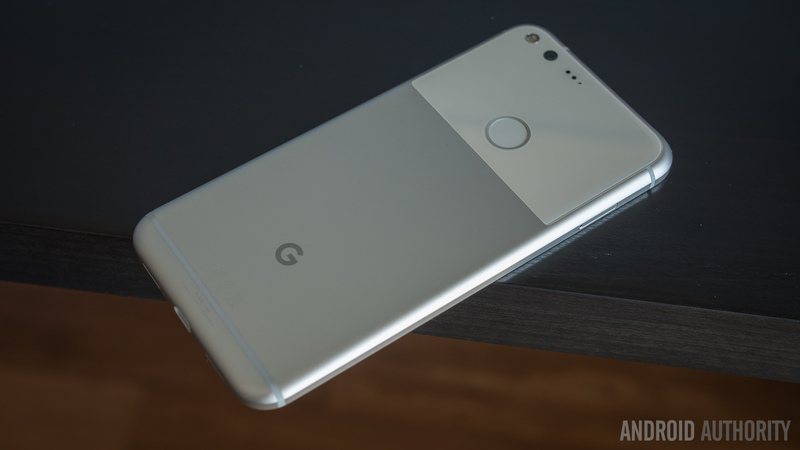 If you’re in the States and are yet to receive it, look out for it arriving on your Pixel 1, 2, or 3 in the next couple of weeks.